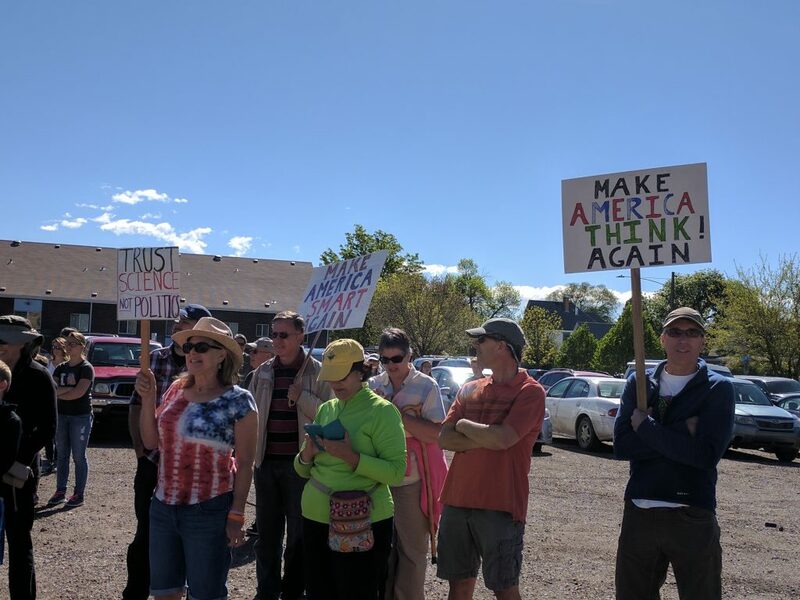 A crowd of about 900 people turned out for Grand Junction’s March for Science on April 22, one of about 600 such marches held across the globe on Earth Day to show support for scientific research and scientifically-derived information that enhances life. The weather was clear, sunny, and around 70 degrees. The march started at the old R-5 High School at 7th and Grand, went east to 12th Street and then turned north to Lincoln Park, where an Earth Day celebration and festival was being held. The crowd was big enough to fill the sidewalks for most of the distance. 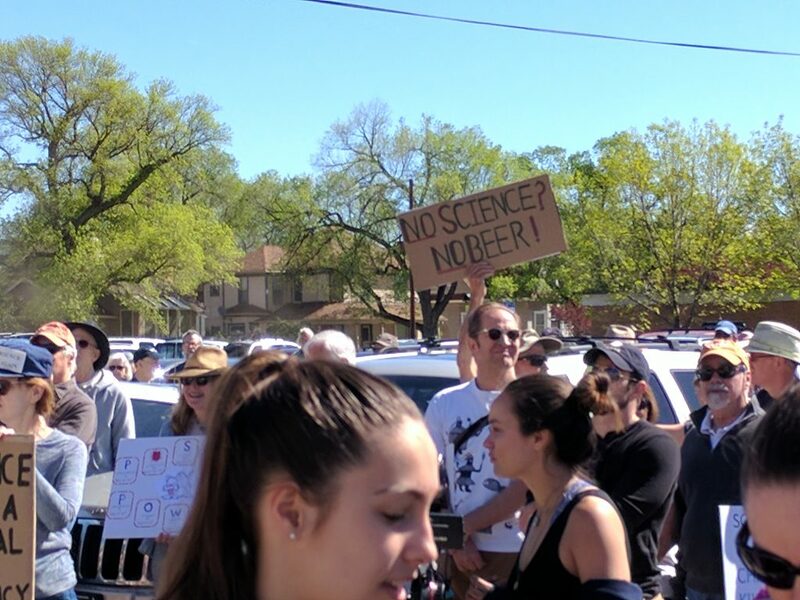 Speakers and marchers alike expressed concern that many elected officials have started deliberately ignoring and actively suppressing science. 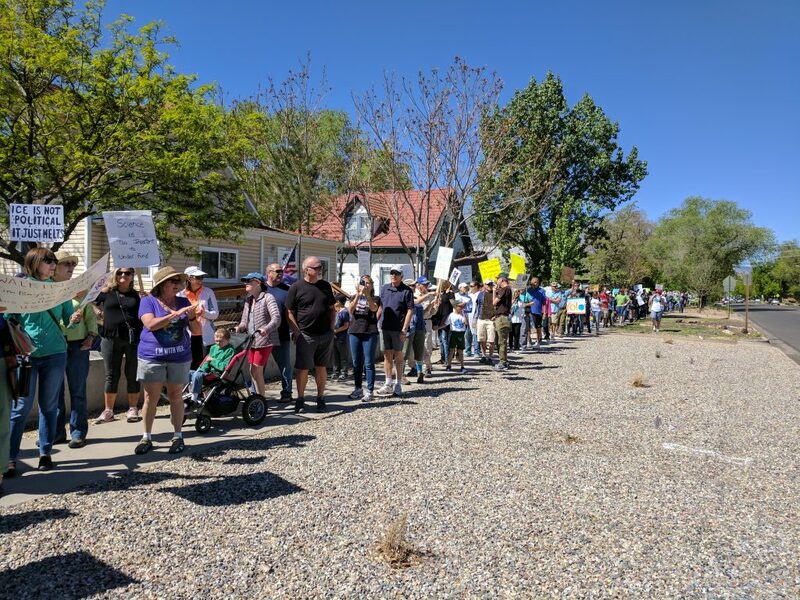 One example is noted Colorado State Senator Ray Scott, a western slope Republican who in March, 2017, criticized Colorado’s efforts to encourage a clean energy future for the state. 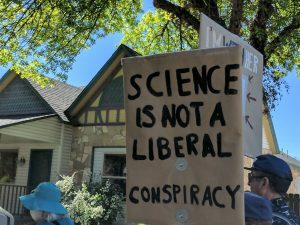 Scott, a well-known a climate change denier with a high school education, has long argued against increasing the amount of renewable energy derived from Colorado’s rural electric co-ops, and has actively worked to maximize use of unsustainable, dirty energy sources, like coal and methane gas. Another elected official of great concern to the crowd was President Trump, who is acting to block all federal efforts aimed at combatting climate change. Trump has also proposed huge cuts to funding for scientific and medical research, and wants to cut the U.S. Environmental Protection Agency’s budget by 30 percent. ← Reality Check: Does Your Political Affiliation Match Your Best Interests? 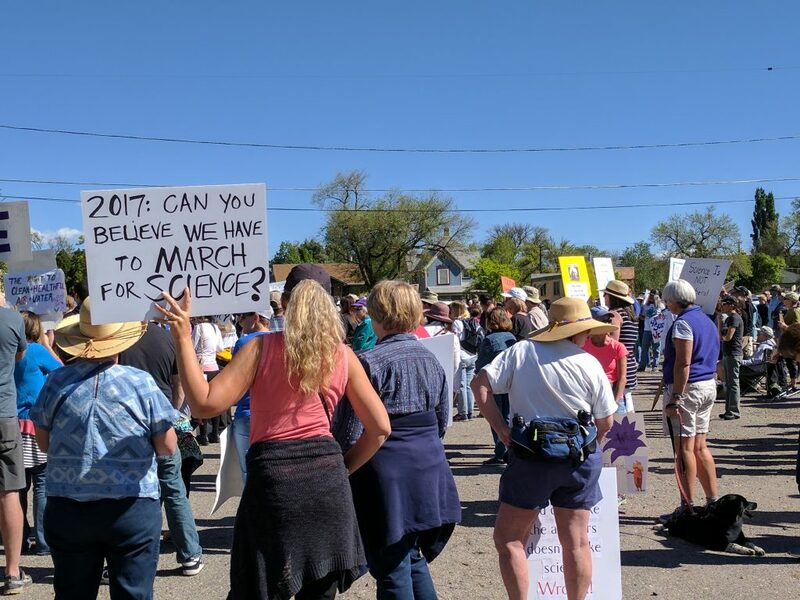 The Delta County Democrats were impressed with this protest and encouragement for living in the 21st century. For whoever did the organizing, thank you. On a side note , I really like this blog , page or whatever it’s called. I appreciate the efforts to bring people of this community together. Keep up the good work.